Enjoy an incredibly immersive MMORTS experience that’s sure to get you hooked. 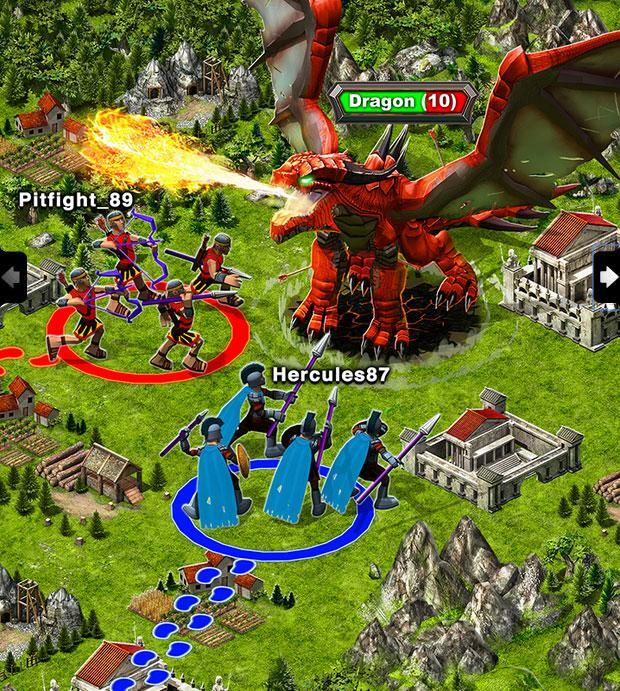 Create armies consisting of many different kinds of units to wreak havoc upon any of your opponents. Start off with a simple base and turn it into a flourishing castle that strikes fear into your competitors. Game of War: Fire Age is a near flawless MMORTS game developed for mobile platforms that combines the all of the very best elements of online strategy games into a single package. It’s a top tier game that consists of pretty much everything you could ask for from a game of this genre. 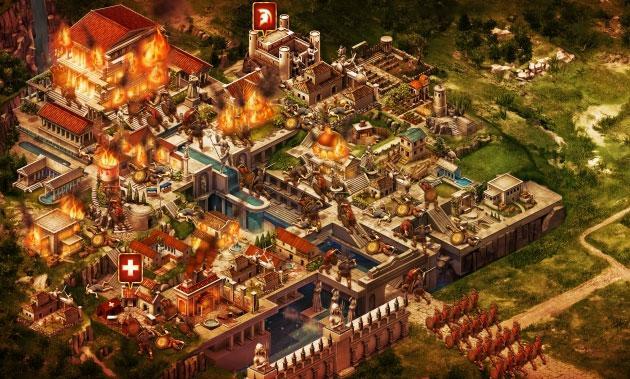 It’s no surprise that Game of War: Fire Age, like every other RTS game, has a fairly steep learning curve but this isn’t an issue you need to be concerned about because the game does an excellent job of easing new players into the game. When you start the game off for the first time, you’ll be introduced to everything by an in-depth tutorial that’ll guide you through all there is to know about the game such as creating armies, fortifying your base and attacking your opponents. Going into the gameplay, as mentioned before, Game of War: Fire Age consists of all the very best elements of MMORTS games. The first thing that should be talked about when discussing any game of this genre is how much you’re able to do with your base. In Game of War you have an obscene amount of options to customize and fortify your base with such as many different structures and many kinds of base defenses. There are various different defensive structures that you can place throughout your base but one thing that should be kept in mind that each defensive structure targets a specific unit so you’ll need a balanced composition of these for maximum efficiency. Of course resources are a major factor in the game and there are specific buildings that you need to setup in order to acquire resources. The other major aspect of the game are the sieges. In sieges you build up a massive army and attack an opponent’s base. Strategic elements play a major role in these attacks because you’ll need to keep a lot of factors in mind such as the positioning of your units, where you deploy them and how you deploy them so you can’t just mindlessly spam your units on a base and expect to win. Similar to base defenses, you need a proper army composed of many different kinds of units if you expect success. Going into the visuals, Game of War: Fire Age is an excellent looking game. The best part of the game is that it’s completely animated so everything ranging from the building to the units are always in a state of motion rather than being simple static images. Sieges are also amazing to look at because of all the destructive effects going on. 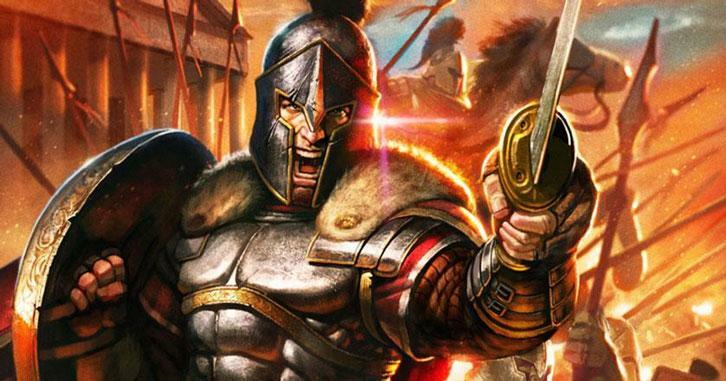 As for micro-transactions, Game of War: Fire Age allows players to get their hands on in-game resources by paying for them with real world money which is great in circumstances where you run out. You can also subscribe to various different kinds of VIP memberships that offer many kinds of benefits to their players. 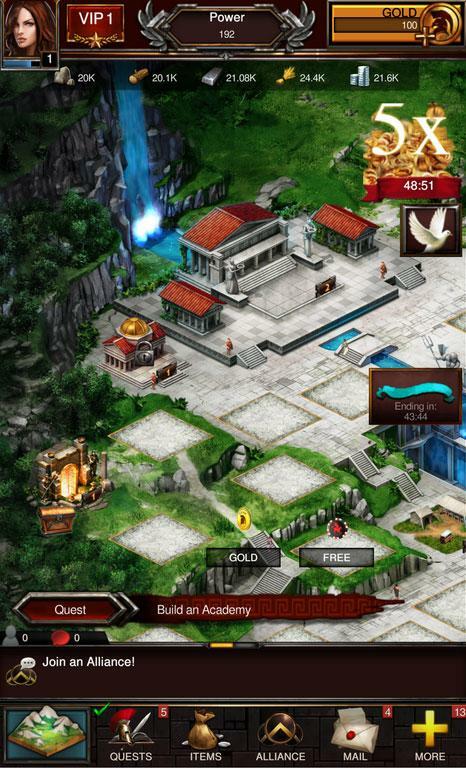 Game of War: Fire Age is a full-fledged MMORTS that’ll provide players with an addictive and exciting experience.